Can I import iTunes playlists or songs to Spotify? Yes, Spotify will scan the hard drive for iTunes tracks and the playlists created in iTunes at the first time you use Spotify. 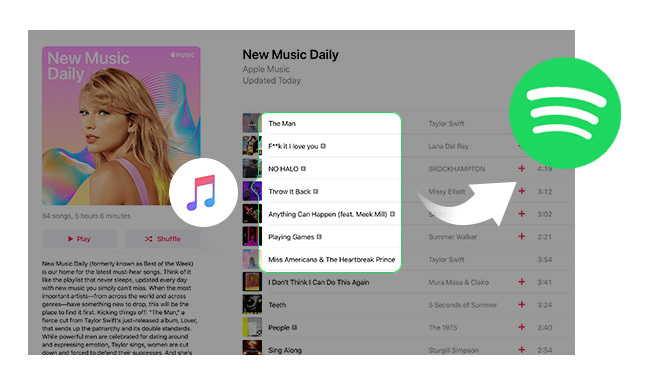 And now we will share 2 useful ways to import iTunes playlists or songs to Spotify easily. Unfortunately, not all the iTunes songs and playlists can be imported to Spotify, because iTunes and Spotify don’t always sync up. If there are iTunes playlists or songs that don’t import to Spotify, we also have solution to help users to make it succeed. Step 1: Please make sure that playlists have been shared from iTunes. Firstly open iTunes and head to “Preferences”, then select “Advanced” and tick “Share iTunes Library XML with other applications”. Step 2: Open Spotify and click on “File” in the menu bar. Then select import playlists from the drop-down menu and click iTunes. 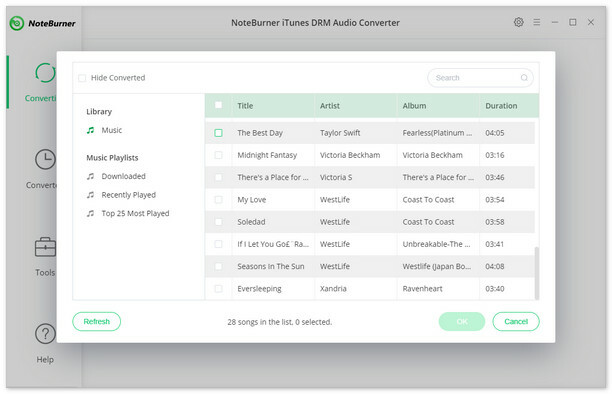 NoteBurner iTunes DRM Audio Converter ( For Windows | For Mac) is a DRM removal and audio converter for iTunes M4P, M4A, M4B files and Apple Music files. With this powerful video tool, users can get DRM – free formats like MP3, WAV, AAC or FLAC, so that all the iTunes playlists or songs can be scanned easily or copied directly to Spotify. And here is the specific tutorial on how to get DRM – free iTunes files and transfer them to Spotify. Launch iTunes DRM Audio Converter on Windows. Click "Add" button, then you will see a pop-up window which will show you all the iTunes folders. You can add iTunes playlists or songs you want to import to Spotify. Click the "Setting" button on the main interface, and then there will be a pop-up window which allows you to set output path and output audio format. Output format like MP3, WAV, FLAC or AAC are available when converting iTunes playlists or songs. You can choose anyone of them, and all of these 4 formats can be recognized by Spotify. After finishing customization, click "Convert" button to start converting. If you don't want to convert certain music, please click "remove" button to remove this music before converting. After conversion, click the "History" button in the main interface to find the output iTunes playlists or songs. 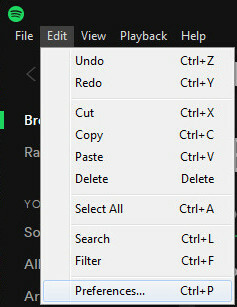 Now, all the converted iTunes playlists or songs are saved to your local computer, you just need to import these files to Spotify. 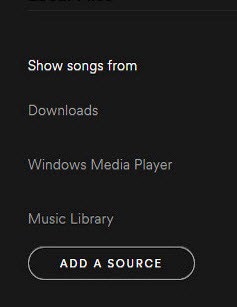 Click “Edit” button on the main interface of Spotify, then click “Preference” to find “Local Files” and click “ADD A SOURCE”. Then there will pop up a window, and you can choose the folders you saved converted iTunes files with NoteBurner iTunes DRM Audio Converter, then click “OK” to import the files. After finishing importing, you can find these iTunes files, you can click “local Files” on the left bar. 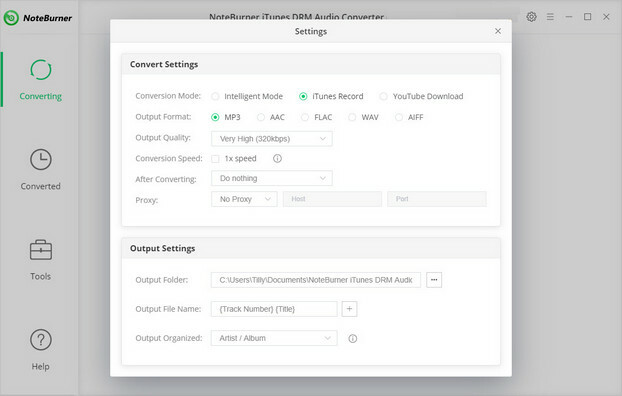 If you want to convert Spotify tracks or playlists to DRM-free formats like MP3, AAC, WAV or FLAC, please seek help from Spotify Music Converter.